PRESIDENT’S MESSAGE – Glenn Richardson Plumbing & Heating Ltd.
As the third generation in a plumbing family I started young in the family business. I began helping my father and grandfather as a young boy on Saturday mornings, all week I would look forward to those Saturday mornings and working alongside. Many years later when I took over the family business I took forward the two most important lessons my grandfather and father had taught me time and again over the years; if you do a good job at a fair price and look after people you will never go wrong. 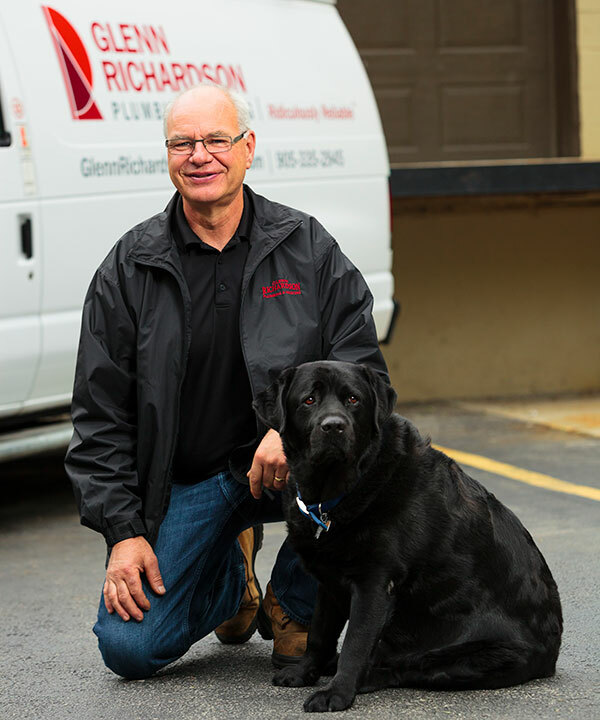 Glenn Richardson Plumbing & Heating Ltd has been around for over 60 years and I truly believe it is because we understand it’s the relationship we forge that ultimately builds lasting partnerships both with our employees and our customers. We continue to work timelessly to build that confidence with new customers and maintain that confidence with long time customers. We look forward to working with you and building the confidence that has kept us in business for over 60 years.